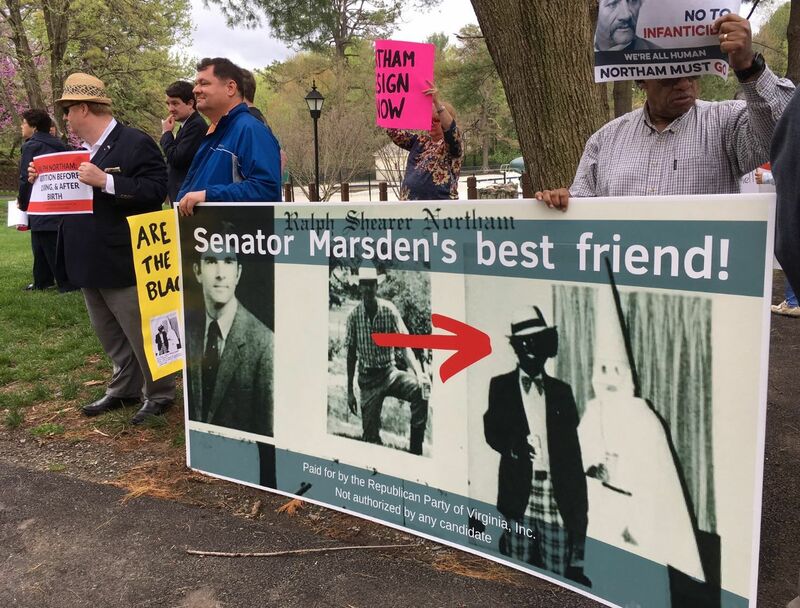 At a Sunday fundraiser for Democratic state Sen. Dave Marsden in Burke, Virginia, two separate groups gathered outside to protest against Gov. Ralph Northam. The governor has been under fire after a racist photo from his medical school yearbook page surfaced showing two people, one person wearing black face and another person wearing a Ku Klux Klan hood. Northam has admitted to making his face darker during a dance contest in the 1980s, but he denied being one of the people in the yearbook photo. Protesters from both Republican and Democratic parties carried signs and lined both sides of the pathway to the Ponds Community Center. Fairfax County NAACP President Kofi Annan said their group gathered to send a message. “Not just to Ralph Northam but also to all the area Democrats, and hopefully all the Democrats across the state, that we have not forgotten; and we do not want to normalize Ralph Northam’s behavior. Inviting him to events like these actually does that,” Annan said. Community organizer Emily Patton said she doesn’t believe Northam is repentant. “I don’t think he feels sorry for what he’s done,” she said. 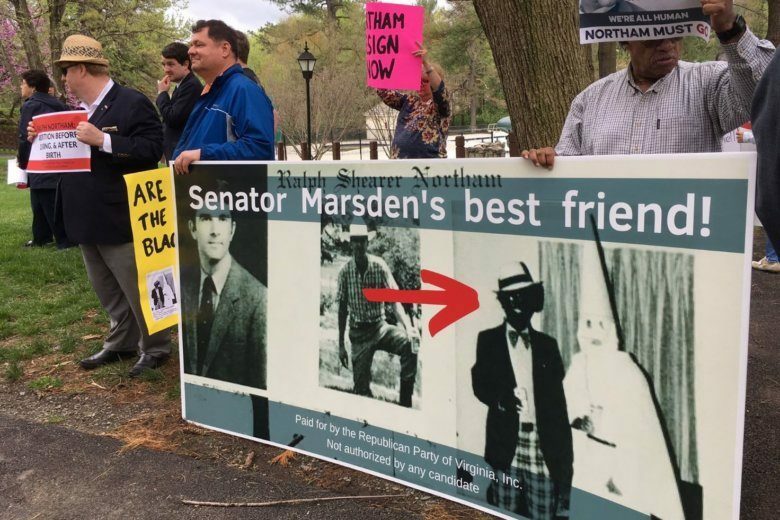 A man from the Suburban GOP Coalition who didn’t want to be identified said the outrage will remain and that “it’s awful” that Virginia Democratic leaders appear to have backed off from condemning the governor. “You have instances where people hope time will pass before things get back to normal. They seem to forget the outrage very quickly. But it won’t go away. That’s the lesson to be learned. The outrage stays,” he said. WTOP’s Liz Anderson reported from Burke, Virginia.